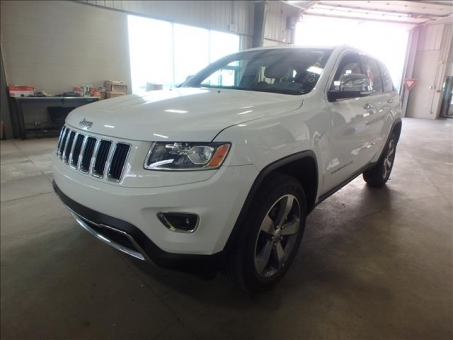 2015 JEEP GRAND CHEROKEE LIMITED - 3.6L V6 Engine, 8 Speed Transmission, 20" Aluminum Wheels, Power Sunroof, Heated Black Leather Seating, Power Liftgate, 8.4" Touchscreen NAV, Rear Camera, Park Assist, Remote Start, Bluetooth, Sirius XM. This is a beautiful car in like new condition. Only 12,000 miles. Books for $39,900. Auto Auction Nevada's auctions provide buyers with access to fresh trade-ins the moment they become available as well as ensure an advantageous business environment for car sellers and traders, considerably intensifying your car sales and improving your internet advertising efficiency. Our patented auction systems are the fastest, most efficient way to find and get what you may be looking for at a car auction Las Vegas. Bid with excitement but also with confidence on any of the items on our auction Las Vegas, find the most attractive offers on our public Las Vegas auction, profit from our knowledge and experience and refine your auction strategy by making exclusively profitable car deals on our Las Vegas car auction with statewide coverage and nationwide reputation. Bid on Auto Auction Nevada now, and make sure that Las Vegas auctions are really spectacularly exciting and effectively working.